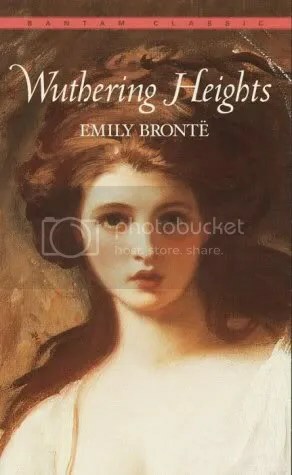 Best remembered for her classic novel, Wuthering Heights, the English novelist Emily Brontë was born 30th july 1818 was the third eldest of the four surviving Brontë siblings, between the youngest Anne and her brother Branwell. She published under the pen name Ellis Bell. Emily Brontë was born on 30 July 1818 in Thornton, near Bradford in Yorkshire, She was the younger sister of Charlotte Brontë and the fifth of six children After the death of their mother in 1821, when Emily was three years old, the older sisters Maria, Elizabeth and Charlotte were sent to the Clergy Daughters’ School at Cowan Bridge, where they encountered abuse and privations later described by Charlotte in Jane Eyre. Emily joined the school for a brief period. When a typhus epidemic swept the school, Maria and Elizabeth caught it. Maria, who may actually have had tuberculosis, was sent home, where she died. Emily was subsequently removed from the school along with Charlotte and Elizabeth. Sadly Elizabeth died soon after their return home. and his sons, Charles and Arthur Wellesley. When Emily was 13, she and Anne began a story about Gondal, a large island in the North Pacific. With the exception of Emily’sGondal poems and Anne’s lists of Gondal’s characters and place-names, their writings on Gondal were not preserved. Some “diary papers” of Emily’s have survived in which she describes current events in Gondal, some of which were written, others enacted with Anne. One dates from 1841, when Emily was twenty-three: another from 1845, when she was twenty-seven. At seventeen, Emily attended the Roe Head girls’ school, where Charlotte was a teacher, but managed to stay only three months before being overcome by extreme homesickness. She returned home and Anne took her place. At this time, the girls’ objective was to obtain sufficient education to open a small school of their own. where they attended a girls’ academy run by Constantin Heger. They planned to perfect their French and German in anticipation of opening their school. In 1844, Emily began going through all the poems she had written, recopying them neatly into two notebooks. One was labelled “Gondal Poems”; the other was unlabelled. Scholars such as Fannie Ratchford and Derek Roper have attempted to piece together a Gondal storyline and chronology from these poems. In the autumn of 1845, Charlotte discovered the notebooks and insisted that the poems be published. Emily, furious at the invasion of her privacy, at first refused, but relented when Anne brought out her own manuscripts and revealed she had been writing poems in secret as well. Although Charlotte Brontë’s Jane Eyre was generally considered the best of the Brontë sisters’ works during most of the nineteenth century, many subsequent critics of Wuthering Heights argued that it was a superior achievement. Wuthering Heights has also given rise to many adaptations and inspired works, including films, radio, television dramatisations, a musical by Bernard J. Taylor, a ballet, three operas (respectively by Bernard Herrmann, Carlisle Floyd, and Frédéric Chaslin), a role-playing game, and the 1978 chart topping song by Kate Bush. doctor” near her. She eventually died of tuberculosis, on 19 December 1848 at around two in the afternoon. She was interred in the Church of St. Michael and All Angels family vault, Haworth, West Yorkshire.